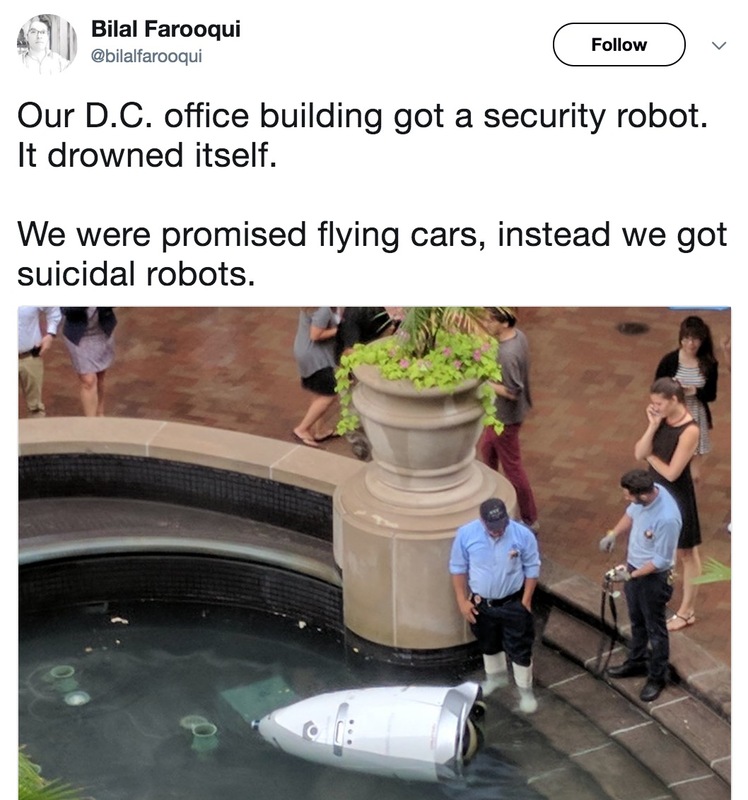 Knightscope continues its hyper growth, at least when it comes to controversy, this time with a 'suicidal' robot in Washington DC. Ironically, Knightscope is right now selling shares for just $3 each to those daring enough to buy. 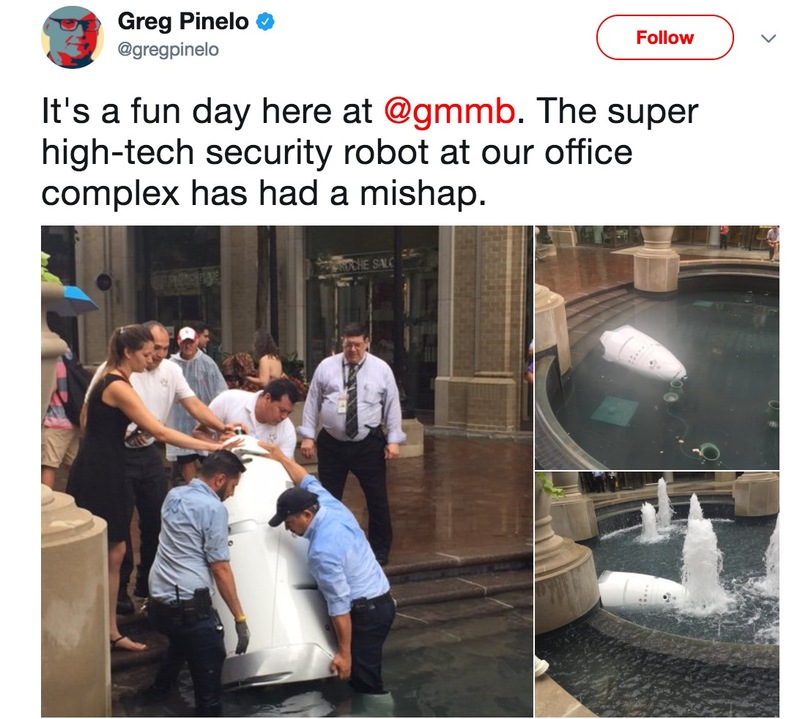 This extends Knightscope's streak of social media sensations including a drunken man attacking a Knightscope robot, a Knightscope executive attacking IPVM and a a Knightscope robot running over a child. The bigger challenge is Knightscope's 2016 revenue of just $420,425 with a $4+ million loss while seeking an $80 million valuation. But, one has to wonder, is all of this just part of their master publicity plan? There are other security robots out there, e.g., see our profiles on Cobalt, NXT, SMP, Gamma2, and Sharp. It will be interesting to see how this impacts their key partner, Allied Universal, who surely will not look good here. This was "an isolated incident" and is being investigated. "No people were harmed or involved in any way," he said. A new K5 is being dispatched to DC. They should be able to work out this 'bug'. What remains to be seen is how much doing so either (1) increases the cost of the service (e.g., by requiring longer / more complicated on-site optimization) and/or (2) limits its functionalities by restricting where and how it can move.